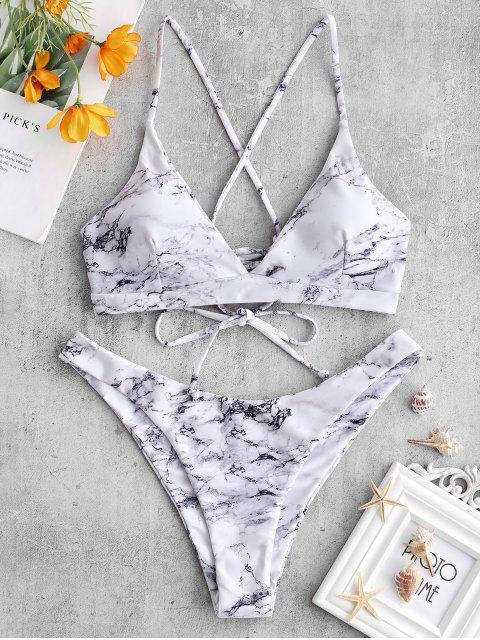 [25% OFF] 2019 ZAFUL Cross Marble Lace-up Bikini Set In MULTI | ZAFUL .. I LOVE this suit! Pattern is beautiful and it’s well made. I’m 132 lbs, a size 4 pants, and a 34B bra and I got a small. Perfect fit! Fits perfectly, though the top makes it easy for a nipslip to happen. Super cute!I am 5’5” and 135. I am wearing a small. Let this swimsuit to bring much of fun for your beach vacations! 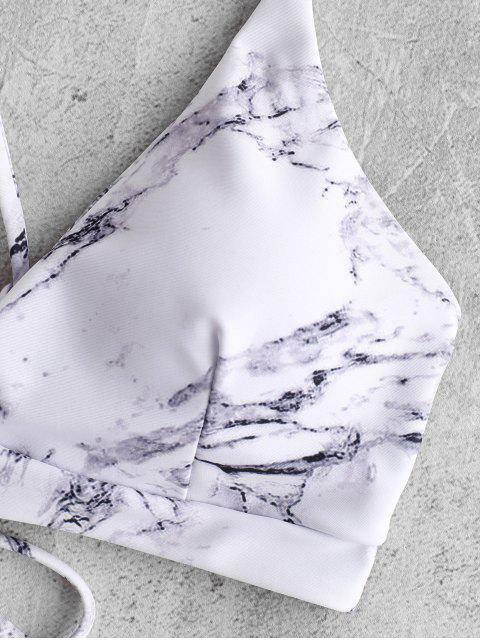 Crafted from marble pattern throughout, this bikini set covers a padded bra top with adjustable cross straps at back and a pair of cheeky thong briefs to complete the look.